In France, Belgium, New Orleans, Acadiana and the Congo, French toast is called pain perdu, which means “lost bread” in French. It is called “lost bread” because it is a way to reclaim stale or “lost” bread. The hard bread is softened by dipping in a mixture of milk and eggs, and then fried. The bread is sliced on a bias and dipped into a mixture of egg, milk, sugar, cinnamon and vanilla. The slices are pan-fried in butter and traditionally dusted with powdered sugar and served with jam or syrup on the side.In New Orleans, pain perdu is a local variation of French toast and often shows up on menus as “Lost Bread”. It is made from leftover New Orleans–style French bread. The bread resembles a French baguette, but has a crunchier exterior and a lighter interior and is usually fried in oil. 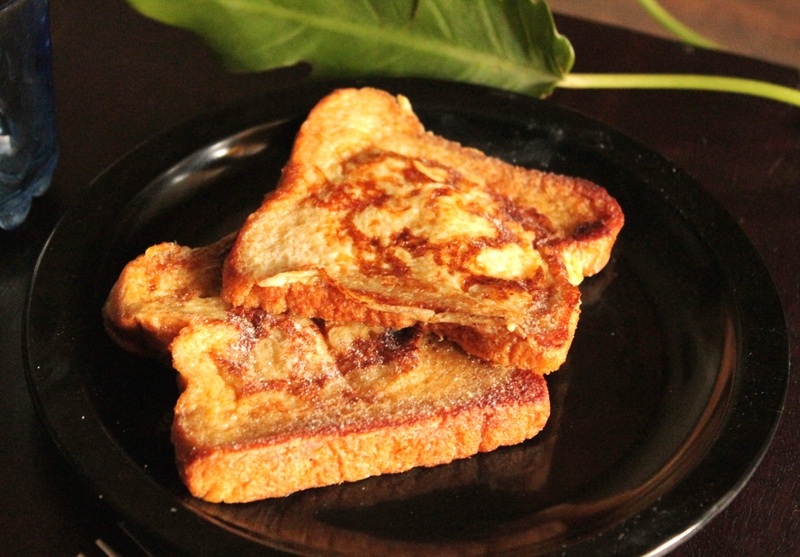 It is eaten for breakfast in New Orleans.In France, pain perdu is considered to be a dessert, a breakfast as well as an afternoon tea snack (“goûter”).In Quebec, French toast is called pain doré, which means “golden bread”. Dip the bread in the egg mixture until they soak well. Coat them well on both sides. Simple receipe. 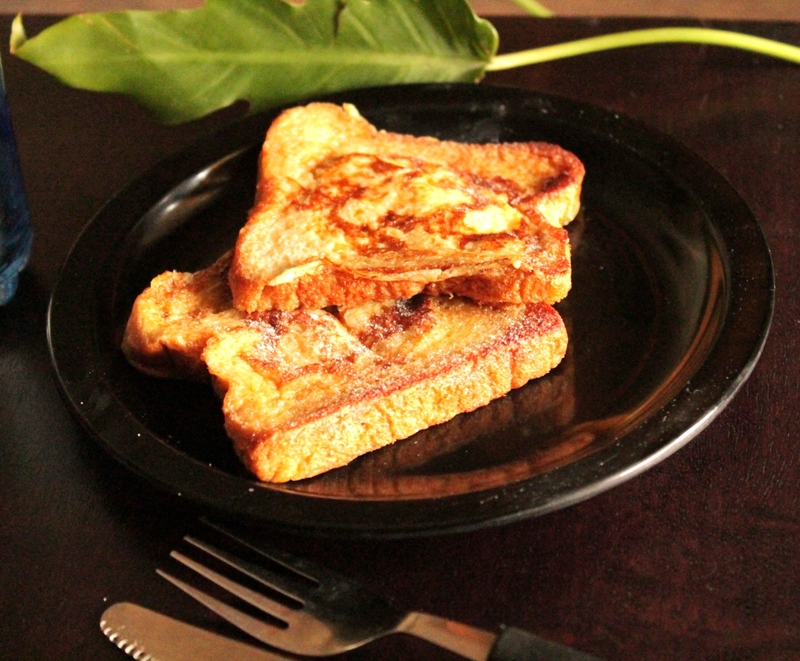 French toast has been my fav comfort food since school days. French toast and ketchup.